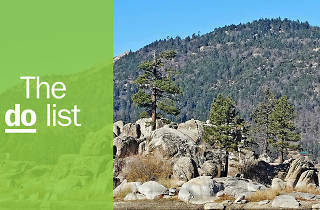 The skiing opportunities in Big Bear may not be able to compete with the slopes of the Sierra Nevada Mountains, but it’s all about location—specifically that this location is within a two hour drive of both Los Angeles and Palm Springs. 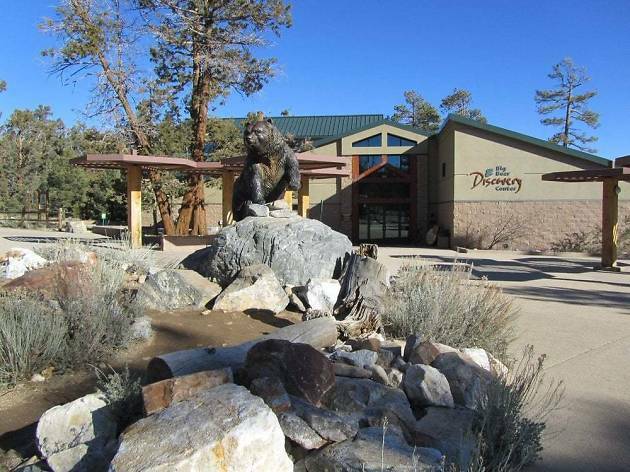 But there are more things to do in Big Bear than winter sports. Indeed, the mountain region’s focal point, Big Bear Lake, is perfect for a summer dip, and the many hiking, biking and kayak routes lend themselves to Southern California’s lengthy warm-weather seasons. 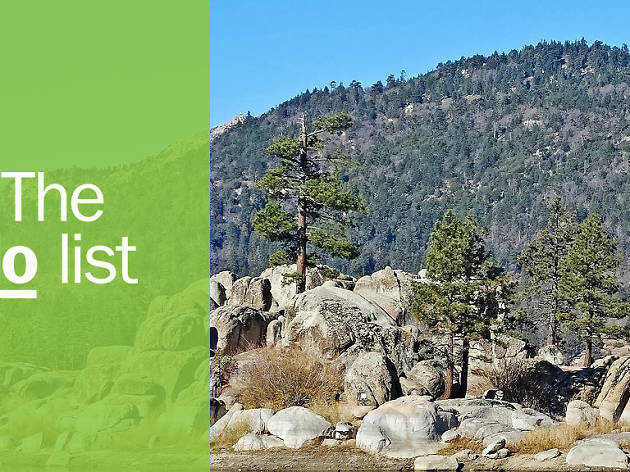 So rent a cozy cabin, take a stroll through Pine Knot Village and tackle these 12 things to do in Big Bear. 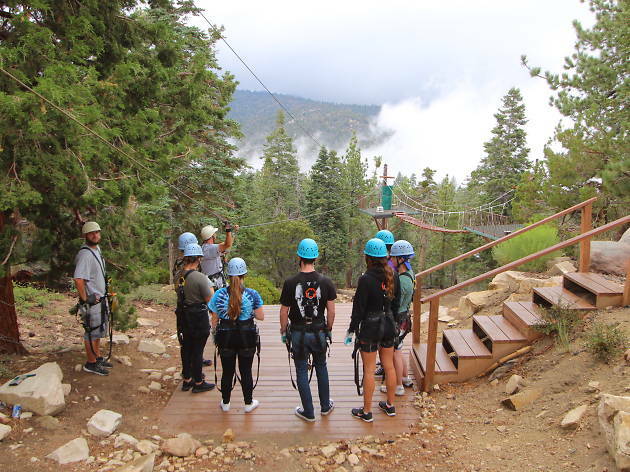 Zoom across nine separate zip lines that range from 140 to 860 feet long. Expect to soar up to 85 feet above the forest floor and at speeds up to 45mph—hopefully not too fast to distract you from the surrounding mountainous scenery. 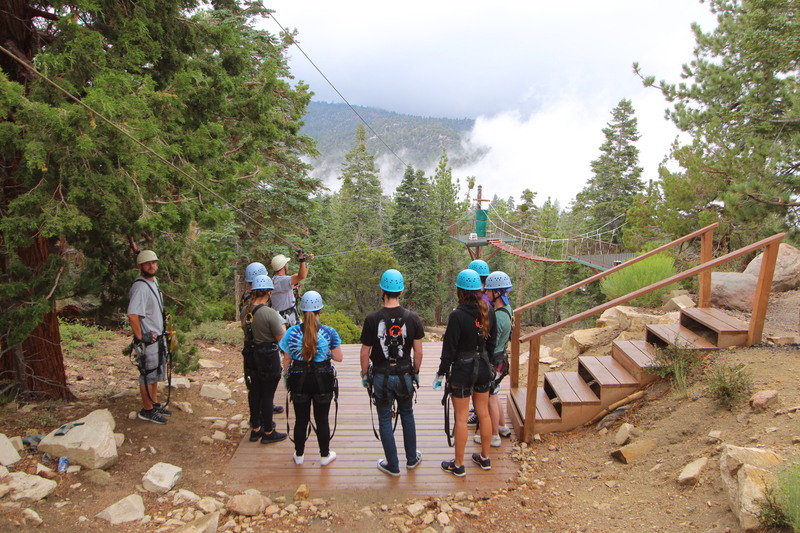 You’ll have to book an experience through Action Tours, which includes an off-road ride to and from the zip lines. 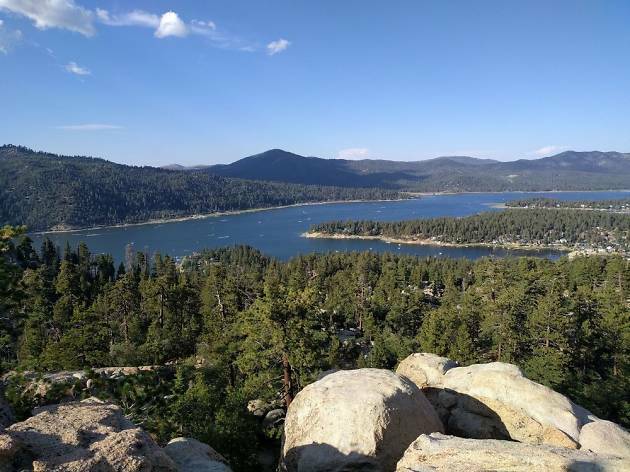 If you embark on one hike in Big Bear, let it be this moderate but approachable trail. The dog-friendly forest hike is no more than a couple of miles round-trip, but the first half-mile involves a 500-foot elevation gain. 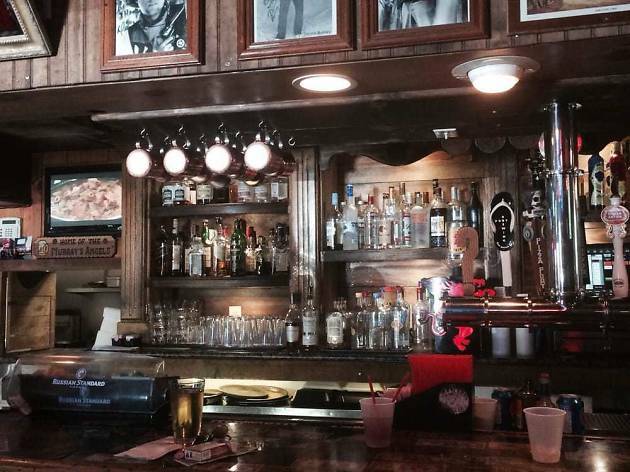 Put in the effort and you’ll be rewarded with sparkly views of the lake. The trailhead is located right along the highway; look for a limited number of parking spots just east in a turnout on the north side of the road. 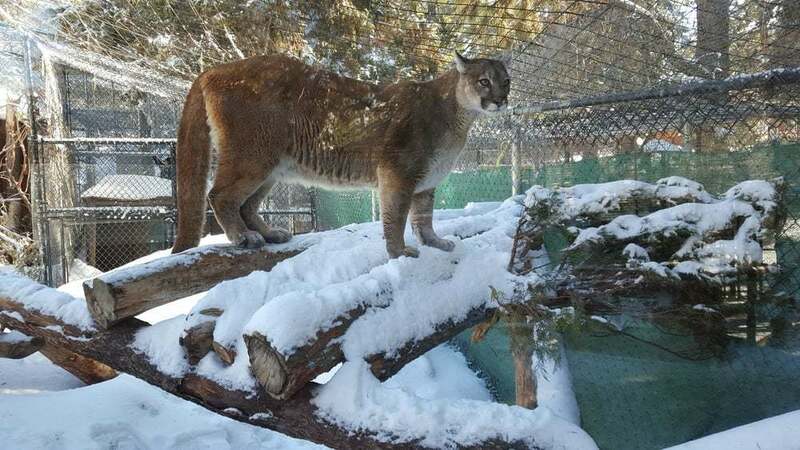 What started as a 1950s rehabilitation center for injured animals has morphed into a mountaintop zoo that provides a home to 85 species, both native to the San Bernardino National Forest and beyond. 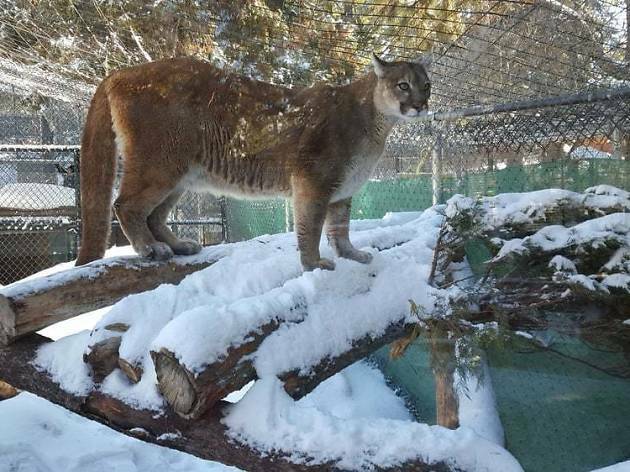 Expect to see bears, foxes, wolves and big cats. 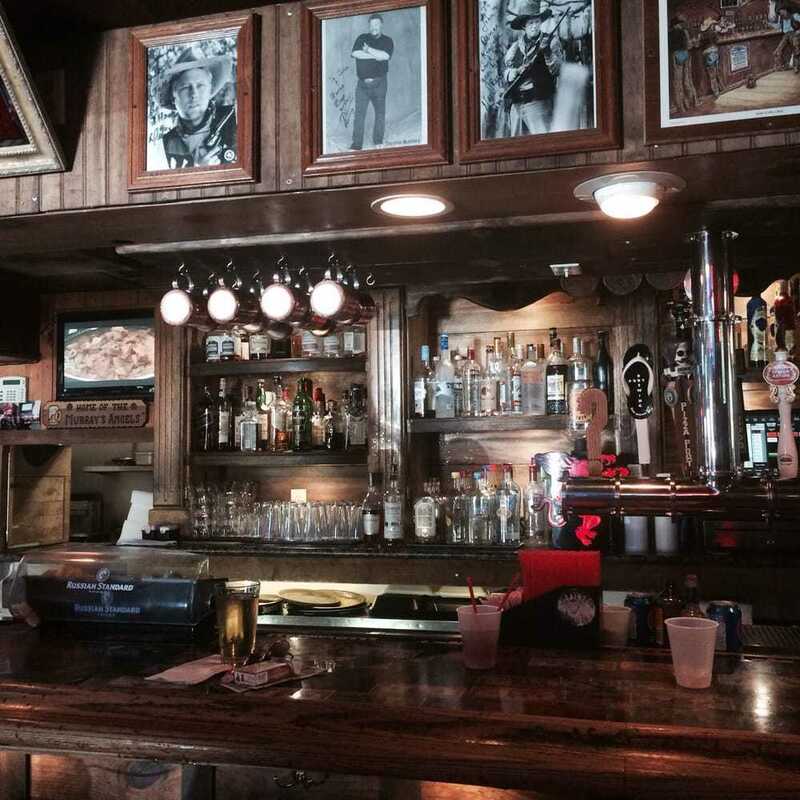 Consider this your first stop before venturing out into the wildnerness. This visitors center provides information on hiking, biking and camping, and it also hosts naturalist-led tours, entertainment and nighttime programming. 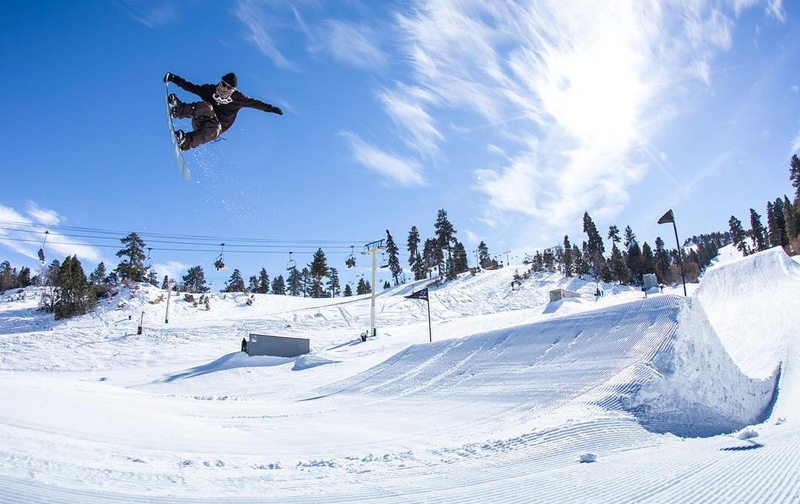 Snow Summit is one of the larger ski areas in Southern California, and is especially popular with nearby Angelenos. A majority of the runs here are groomer blues, but the small beginner area is perfectly good for anyone who’s just learning, and a full quarter of the mountain is black diamonds. 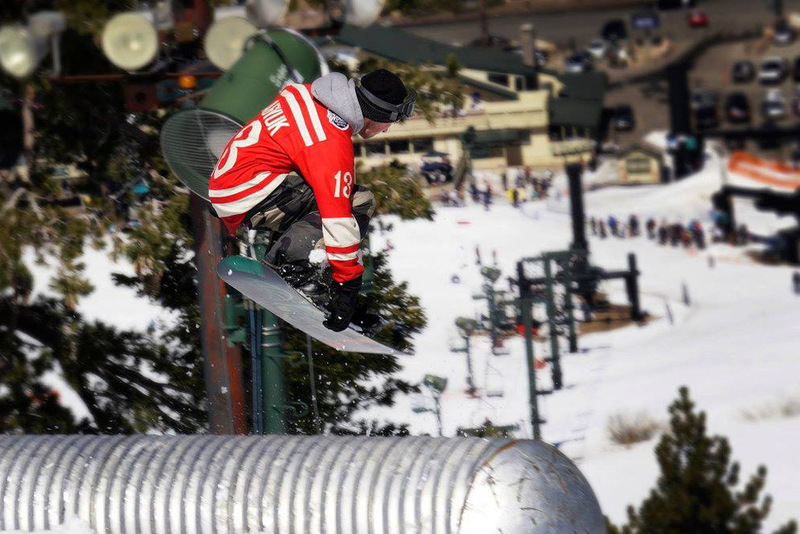 A lift ticket here will also grant you access to Snow Summit’s sister mountain, Bear Mountain. Bear Mountain was purchased by neighboring mountain Snow Summit, back in 2002; some say this was a calculated move to entice snowboarders to Bear Mountain, leaving Snow Summit to the skiiers. 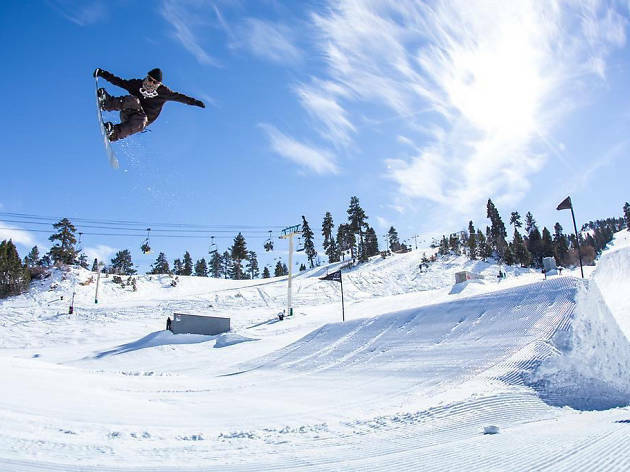 In fact, Bear Mountain has been nicknamed “the Park” for its irregular terrain, and established one of the first freestyle parks way back in the early ’90s. 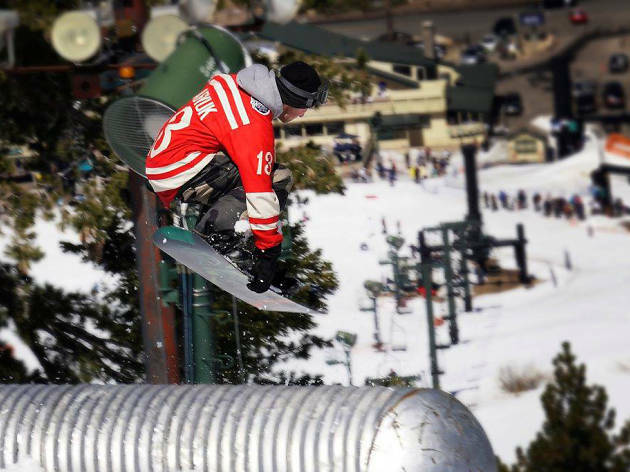 Bear Mountain boasts three main peaks, including Bear’s Peak, Southern California’s highest peak served by a lift at just over 8,800 feet. 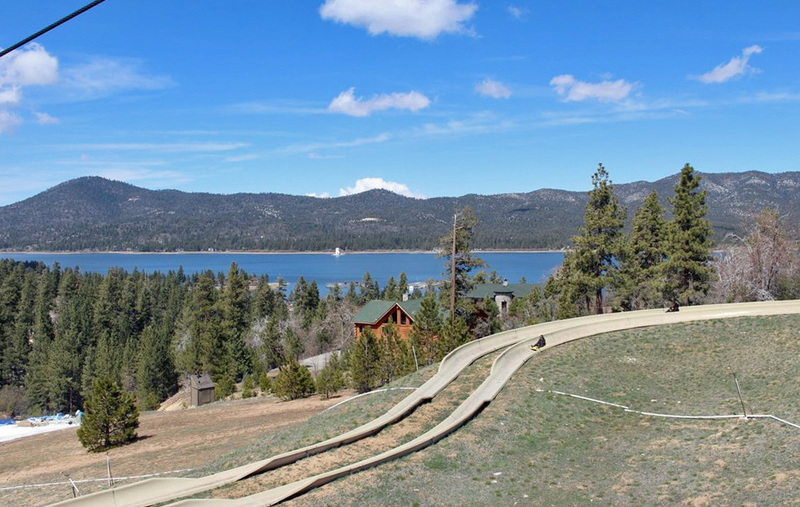 Tucked away just west of Big Bear, Snow Valley Mountain Resort is the oldest continually operating ski resort in Southern California. Back in the 1920s, the site was developed as a lumber mill and roadside resort; by the 1930s, slopes were developed for tobogganing and skiing. Snow Valley featured one of the first overhead cable ski lifts. Scoot down a hillside no matter the season on this pair of high-banked slides. Pilot your sled down a concrete track at your own speed (stick with the right hand track if it’s your first time), and make sure to take in the scenery during the minute-and-a-half ride. 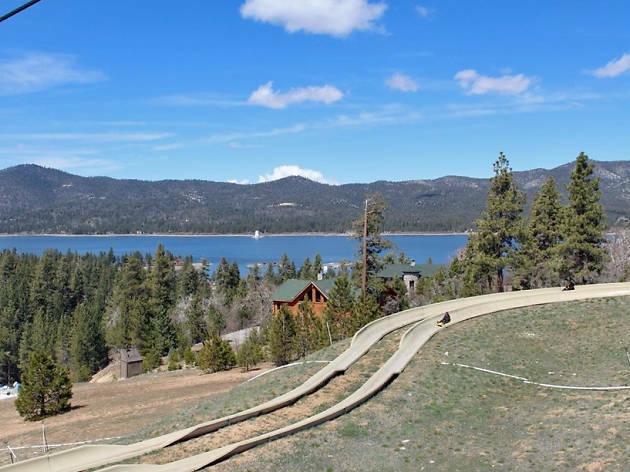 The area also features a water slide in the summer and snow tubing in the winter. 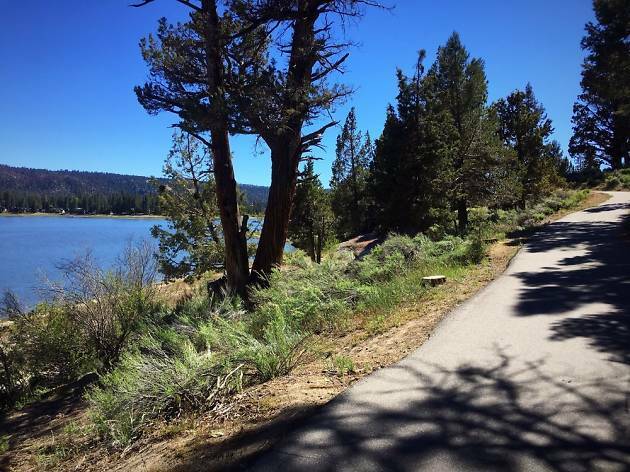 Photograph: Courtesy Yelp/ Shelley H.
Pedal a 3.2-mile pathway along the northeast edge of Big Bear Lake on this paved trail (a much more approachable option compared to the area’s more rugged, off-road expeditions). 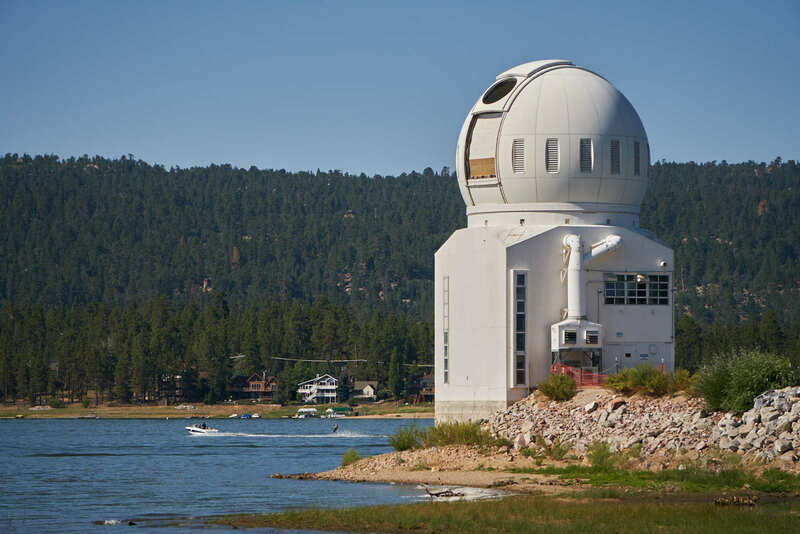 You’ll find the midpoint near the Discovery Center and the western terminus just past the Solar Observatory. Look out for eagles from the late fall through early spring. 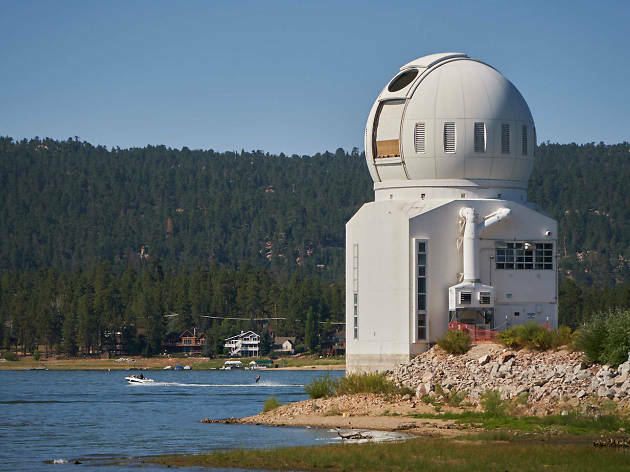 Stare at the sun—safely, of course—via the data collected at this world-class solar observatory. Though public tours are offered all year round, swing by during the summer for the most frequent offerings. 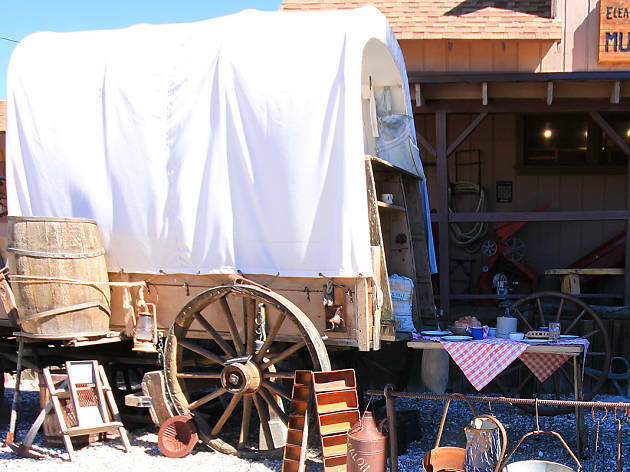 This seasonal history museum celebrates the area’s legacy and inhabitants over the years, including indigenous populations, gold miners, ranchers and winter sports enthusiasts. 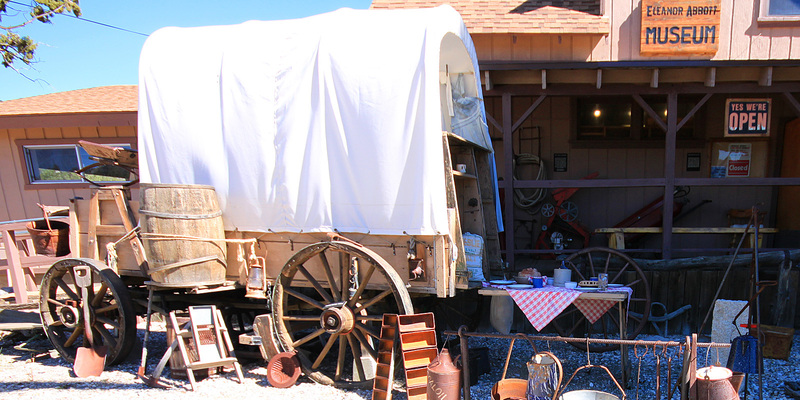 Look through archival photos and relics inside and find old cabins and equipment outside. The museum’s centerpiece general store dates back to 1929; it was moved onto the eventual museum parkland in the late ’70s.